It's Jullllllyyyyyyyyyyyyy! Already.... man, this year is zooming by! I haven't done a wish list in a while - but I have been noting down things I'd like to buy or try so thought I'd shove them in here, in case anyone has any feedback on them... might save me a few pennies! The first thing I'd like is the Nars MakeUp Your Mind: Express Yourself book, which is a make up book from Nars. It looks like there are a load of different make up looks in here for inspiration, two of my main loves are make up and photography, so I think this would make me a very happy girl. I know this photo (taken from the book) is of a man, of which I am not, but I am loving the eye make up! Essie Pink Parka is next on my list. On a recent visit to the beautician, I noticed it sitting on the shelf - calling out to me with it's POWness. The most gorgeous neon pink, well, in the bottle anyway... I must try this. I've had a little squizz round and can't seem to find it anywhere for sale (it was part of the fall 2009 collection), not even eBay worldwide! If anyone knows how I can lay my hands on a bottle, please let me know. I am yearning for gorgeous, long, fluttery eyelashes. I loved the results my Lilash gave me, but I just can't afford to be spending that much. 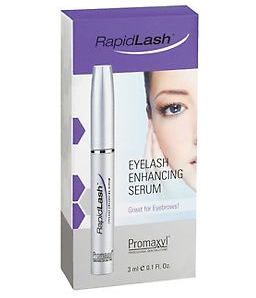 I have seen a few blog posts about Rapid Lash with seemingly good results - I'd like to give it a whirl. I'm just not happy with my foundation at the moment. Those couple of super-bright days made me realise my face base is not cut out for summer. I want something that doesn't look ashy or ott, but still not too dewy, and long lasting. I don't think I'll ever find it, but while I am on my quest Illamasqua have released their Skin Base Foundation. It claims are "blendable... perfect complexion... undetectable in a professional HD environment... smoothes... softens... conditions your skin... natural, buildable coverage" If it can live up to the hype, maybe it will be my holy grail after all? I feel a trip to Soho is in order to check this out in real life. Bumble & Bumble Creme de Coco Masque sounds divine. A thick, coconut scented masque for the hair, which leaves it soft, shiny and gorgeous. Yes please! Lastly, not beauty related, but I'd love one of these little fellas for my garden, and one of these cute doorstops for the kids room. Have you tried any of these things and care to add your two pence before I hunt them down? The NARS book looks really interesting! I can't believe it's July already, madness! ooh, the skin base foundation sounds great. try China Glaze's "shocking pink" its an EXACT dupe of Essie's pink parka. crazy bright neon pink! Pink Parka is also on my must-buy list, it's such an amazing 'Barbie' pink. I know it is hard to find the right foundation. I have tried so many high end and low end foundations and was never happy with any of them! Then...I started focusing first on my face and making it better, healthier. When I then tried some of the foundations...my skin never looked so beautiful! Also...OIL AND WATER DO NOT MIX!!! DO NOT MIX OIL PRODUCTS WITH WATER PRODUCTS. They will not make your face happy. Read the ingredients and try to use products of the same line. Ive been wanting to try rapid lash for ages now too. ` Its £40 here, and i just dont know if I can justify that when im not even sure how great the results will be. Hi, found Essie pink parka for you. You can buy it at cult beauty, here's the link!